Offering you a complete choice of products which include laboratory hydrogen gas generator, lab hydrogen gas generator, pem hydrogen gas generator, lab zero air generator, lab pure air generator and lab nitrogen generator. 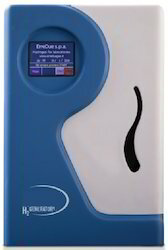 Our Hydrogen generators are just fed by distilled water and electric current. Hydrogen produced by our generators is ideal for every laboratory application: as a carrier gas for GCFID/ GC-NPD/GC-TCD. Best for hydrides canisters for use with fuel cells. This Hydrogen generators are just fed by distilled water and electric current, no caustic solutions are used. Hydrogen produced by this generators is ideal for every laboratory application: as a carrier gas for GCFID/ GC-NPD/GC-TCD, as a reagent gas for GC-ELCD/GC-HALL, as a reaction gas for ICP-MS. Moreover, the extreme purity of the Hydrogen gas produced by this generators makes it ideal for storage into metal hydrides canisters for use with fuel cells. This Hydrogen generators don't require any maintenance and are safe and reliable. The functioning of “Z” consists in removing hydrocarbons from ambient air through a heated catalytic reactor. 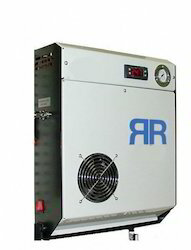 P-SERIES pure air generator produces pure, hydrocarbon free and dry air, with a very low dew point (-50°C). The P-SERIES generator functioning consists in removing hydrocarbons from the air stream through a catalytic reactor which is followed by a PSA system for removing carbon dioxide and a drying tower, which allows a complete removal of water vapour. This Nitrogen generators use the PSA (pressure swing adsorption) technology to produce a continuous pure Nitrogen flow, already at working pressure with no need for further equipment, thanks to the integrated air compressor. This Nitrogen generators just need power and ambient air to produce pure nitrogen without the use of chemicals. This generators work in complete autonomy, producing only the requested amount of gas with no waste. 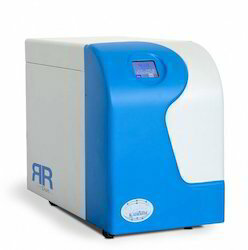 This Nitrogen Generator is available in four models with different flow rates and different purity levels, to satisfy every laboratory's need. One of the unique advantages of this generators is the modularity, which allows users to increase production in case of need, simply by adding one or more modules. The Nitrogen gas produced by this Nitrogen Genrator is employed in different analysis, such as: GC, LCMS, ICP, thermal analysis and every other laboratory application which requires Nitrogen. Moreover, Nitrogen can be used as a carrier gas or for solvent blanketing. Looking for Lab Gas Generator ?